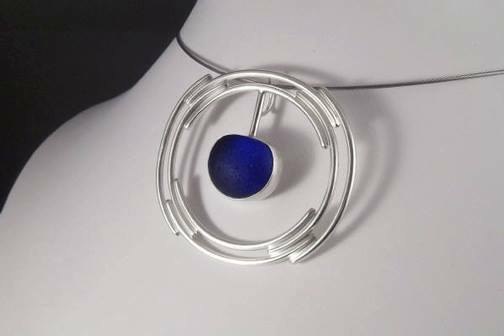 Sea glass necklace by Pembroke Bryant. 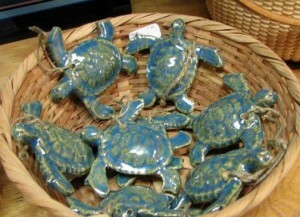 Handmade clay sea turtle ornaments by Charlotte & Jerry Alexander. 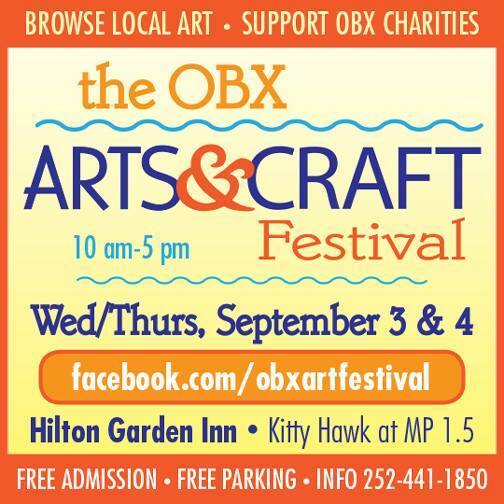 The OBX Arts & Craft Festival is a two-day show held each year at the Hilton Garden Inn in Kitty Hawk. This year’s event will be on Wednesday and Thursday, September 3 & 4, 2014. The show features creations from 25 Outer Banks artists whose specialties include painting, pottery, jewelry, photography, basketry, glasswork, fiber and textile arts, collage, metalwork and more. The show is well known for the high quality of work presented by its talented participants. Each year the show organizers, Charlotte Alexander and James Melvin, choose two local charities to support. This year they have chosen N.E.S.T. 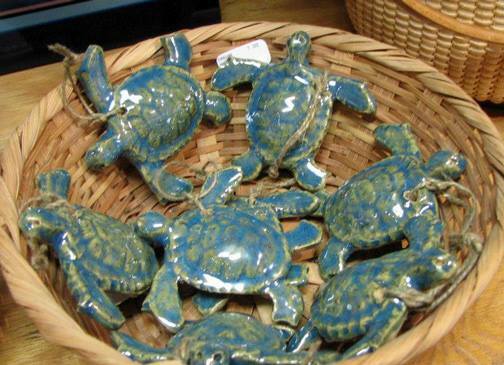 (Network for Endangered Sea Turtles) and the Outer Banks Relief Foundation. Both charities will have a table set up during the art show where visitors can learn about the organization, sign up to volunteer or donate funds. A portion of the proceeds from participating artist entrance fees is donated to those charities. 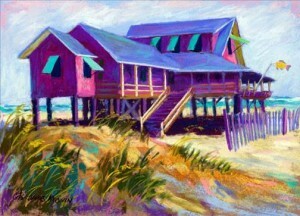 Participating artists this year are: Charlotte & Jerry Alexander, Rosanne Arndt, Bobbie Beckley, Pem Bryant, Brenda Buciorelli, Jackie Church, Carolina Coto, Susan Estrella, Kathy Godwin, Rosanna Gusler, Don Gwim, Randy Hodges, Anne Jacobson, Stephanie Kiker, Martha Johnson, Nancy Laird, Carolyn Leopard, Pete Lewando, Gordon Lewis, Nell Long, Vicky Lowe, James Melvin, Margaret Miller, Meg Rubino and Patty Zukerowski. 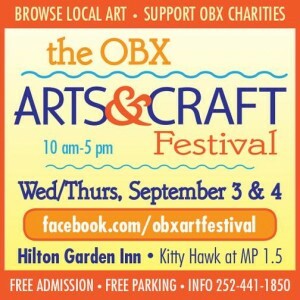 Make sure you stop by to see all of the incredible pieces and meet these local artists as well as find out more about two great Outer Banks charities. It’s never to early to start thinking about those Christmas gifts, or perhaps a special birthday or anniversary item! !